Description: Special limited SHM-SACD edition! We managed to stock only a few copies! Order yours before they're gone! SHM-SACD stands for Super High Material Super-Audio CDs. This is a single-layer, stereo-only SACD pressed on special SHM discs utilizing high-quality polycarbonate material originally developed for LCD panels. SHM-SACD is the best digital format yet and provides no-compromise, ultimate digital sound that is tantalizingly analog-like. Recommended for serious audiophiles who owns an SACD player! 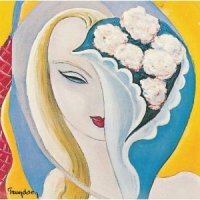 Layla is considered by many as one of very best rock albums of all time. The short-lived ensemble that was the Dominos provided an outlet for Eric Clapton to vent his then unrequited (and secret) passion for the wife of his best friend, George Harrison. Romantic anguish inspired Clapton to write and collect an embroiling and interconnected song cycle. Meanwhile, latecomer Duane Allman prodded Clapton to tear it up on guitar, so as not to be overwhelmed by his even more talented foil. Produced and recorded by Tom Dowd, many of the tracks were laid down in a single take without overdubs. This limited-edition SHM-SACD brings out the subtle details, deep sonority of the drums and electric bass, and let the listener appreciate the musical conversations between Clapton and Allman. Enjoy this classic rock album with the best possible sound! This SHM-SACD was released in Japan on June 30, 2010. Based on 2004 DSD masters created by Polydor (US). Please note: This is NOT a hybrid SACD. You need an SACD player to play it! It does NOT contain any multi-channel tracks!